Had a nervous night as I thought I had overfired a kiln full of new forest side plates and espresso cups. Couldn’t sleep till 1.00am and up at 6.00am to crack open a very hot kiln as I was sure everything was going to be melted! Luckily the kiln fired perfectly. I couldn’t believe it!! . 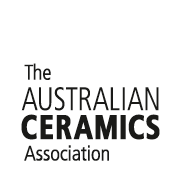 This entry was posted in Ceramic and tagged australia, Australian Ceramics, Ceramic, ceramics, cups, firing, forest espresso cups, forest side plates, forest spoons, glaze, kiln, mountain clay, Stoneware, thrown. Bookmark the permalink.